Situated in the heart of downtown Winnipeg, Gibraltar House is the home of The North West Company whose roots trace back to the Indigenous-European Fur Trade. 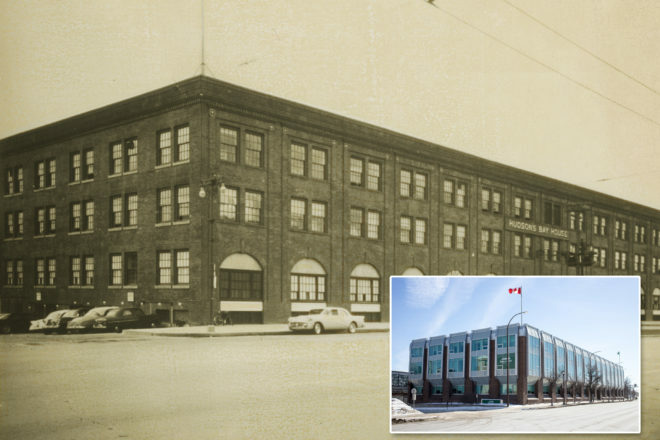 Originally named the Hudson Bay House, Gibraltar House was established in 1913 as a warehouse and then Canadian Headquarters for The Hudson Bay Company. Today, as the hub for The North West Company’s worldwide retail support services and Canadian store operations, Gibraltar House continues its lively and vital role serving Canada’s North and beyond. Learn how North West helped shape modern-day Canada and explore its rich enterprising history through a self-guided tour of its gallery containing paintings, artifacts, and Inuit Art. Please note that wheelchair access is at the back of the building – see the greeter in front lobby to arrange access. Self guided tours will start at 11:00am, 11:45am, 12:30pm, 1:15pm, 2:00pm, 2:45pm, 3:30pm and 4:15pm, lasting 30 minutes, maximum 10 participants.